For whom? The yogi in your life (it could be yourself) who practices yoga 2+ times per week, and has been practicing for over a year. Why? High quality yoga mats don't slip and don't wear and tear. Manduka mats have a lifetime warranty, so you won't need to keep buying $20 yoga mats and throwing them in the garbage. What to buy? 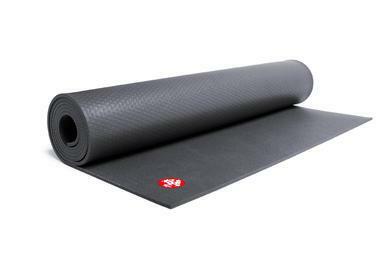 We have Manduka and Jade mats available. We also have mat bags to keep it all together. For Whom? The yogi in your life whose wardrobe needs some sprucing up. Why? High quality yoga clothes go a long way - you don't need to keep buying more because they last longer, they are higher quality so they don't rip on the seams or fade. They are also usually made by conscious companies that want to help the earth. What to buy? Beyond Yoga and Be Present pants and capris are high quality and are made in the USA by people who were paid fairly. Spiritual Gangster is also a conscious company and have really cute tanks and sweatshirts. For Whom? For the busy yogi who doesn't have time to make it to a studio regularly. They may have a space in their home where they can practice on their own. Why? Props are almost essential for any yoga practice. What to buy? Having a bolster at home is an amazing luxury, and a strap and blocks are also great (pretty much essential). You will keep them forever, and they will support you when you really need yoga and can't make it to class. For whom? Anyone! The great thing about buying oils is that these are for anyone - you don't have to be a yogi or use them for yoga. Why? Scent affects our moods and they can be used anytime, day or night. What to buy? Earthy scents like patchouli and cedar, and our Forest Blend are great for the outdoorsy friend. Peppermint, lemon and orange give a burst of fresh energy, lavender calms. For Whom? Your children, nieces, nephews, or grandchildren. Why? Children love yoga, and introducing mindful techniques goes a long way. What to buy? We have books, a board game, card games and dvds for sale at the studio. Some items are available on our online store here: www.ahimsaoakparkyoga.com/shop (enter "studio" at checkout for free studio pick-up), and some are available at the studio (we're open 15-20 minutes before and after each yoga class: www.ahimsaoakparkyoga.com/schedule).